About the Renewables Accelerator: Leaders in U.S. clean energy development are beginning to realize how important it is to help cities achieve their renewable energy goals. Last year, Bloomberg Philanthropies announced the American Cities Climate Challenge, a two-year program which provides cities with powerful new resources and access to cutting-edge support to help them meet their near-term carbon reduction goals. Together with Bloomberg Philanthropies, Rocky Mountain Institute (RMI) and the Urban Sustainability Directors Network, WRI formed the Renewables Accelerator to provide technical support to U.S. cities as they explore new and innovative strategies for procuring renewable energy to meet these goals. One way a city can manage costs is by entering into an on-site physical power purchase agreement (PPA), a financial contract in which a solar developer owns and maintains a solar photovoltaic system that is installed on a municipally-owned building and sells the electricity to the city at a discount. A PPA allows a local government to leverage one of its key assets---land and roof space---in exchange for a cheap, fixed-term source of clean electricity. 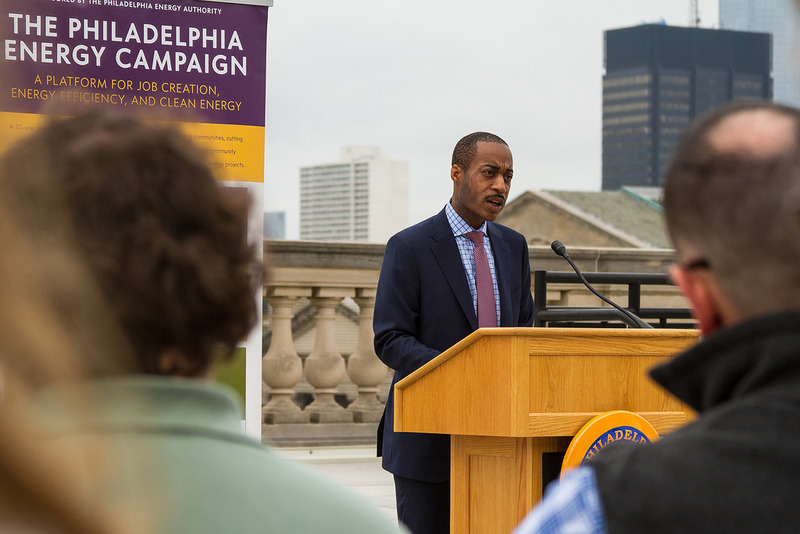 In August 2018, Philadelphia's Office of Sustainability released a roadmap for how the city can reduce carbon emissions 80 percent from 2006 level by 2050 while emphasizing equity and community health. Local stakeholders encouraged the city to take a holistic view of energy and climate action when developing the plan and identify the potential for co-benefits such as job creation and air quality improvements. Austin, Texas spearheads multiple initiatives to meet the solar requirements in the city's renewable portfolio standard---for example, solar rebates and a utility green pricing program that allows customers to pay a premium for wind projects from across the state. However, wealthier residents tend to take advantage of these programs more often than those from low-income neighborhoods: Austin zip codes with an above-average median family income received 75 percent of all solar rebates in 2017. To expand solar access more equitably across the community, Austin Energy has created a community solar program and is piloting an innovative shared solar solution that targets hard-to-reach solar markets, like multi-family affordable housing and non-profits. Programs like these are more than just feel-good---they offer financial benefits to those who need it most. Minneapolis, which has one of the most successful community solar programs in the country, saves money for 92 percent of their solar subscribers, and nearly a third of the program serves public entities such as schools.